Hello and welcome to Seasons Giving Blog Hop!!! I am super excited to be participating this year, first I want to wish you all a fantastic 2014!! Hope all your crafty plans work out the way you want them. I want to thank you all of you my regular followers and the new ones too, for all your comments, uplifting words and support. Now, what about a giveaway!! But wait, if you hop along to every single person in this list you have more chances to win because every single name listed below is giving away something super cool!! Let me show you what I am giving away: Due to shipping costs, this giveaway is open to the USA only. I will include this pretty card too!! Happy New Year 2014!!! Now, answer the question, below, for an extra chance to win, you can "Follow my Blog", "Like my Facebook Page" or "Follow me on Pinterest"
Hello friends! Hope you all had a great Christmas time and getting ready to start a fantastic 2014!! So, it's time for another Heartfelt Creations Alumni Blog Hop, this time I decided to create a "Love/Valentine" card. Make card base from Ivory cardstock. Card size 5"x 5", top folded. Lightly ink the Timeless Amour Background stamp and ink right side of card front. Cut a piece of cardstock, cover it with a piece of Sticky Page Sheet, add Vesuvius Microfine Glitter, then die-cut piece using the biggest Timeless Amour Heart Die. Stamp image on center heart using Passage to my Heart Stamp, color flower using markers. Glue heart border to card front, add dimensionals to heart center and add it to card. Die-cut vine from Sweet Juliet Die Set in Green cardstock. Add it to card and add a red pearl. 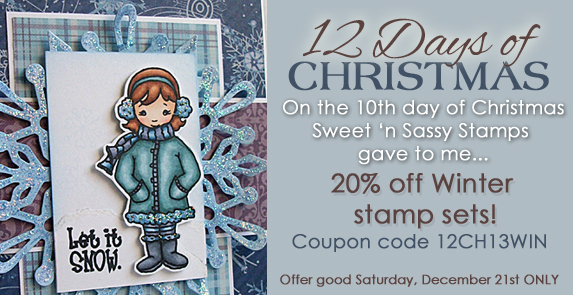 Used negative die-cut part to use as stencil and add White Embossing Paste to corners. Stamp sentiment from Timeless Sentiments on Ivory Cardstock in Coffee Archival Ink, mat it with a piece of Pink Textured cardstock and add it to card. 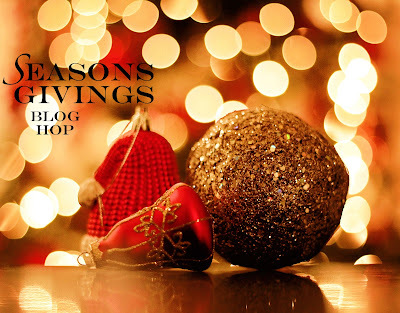 Don't forget to leave a comment in every blog for your chance to win a $25 Gift Certificate to Heartfelt Creations, you have until Friday January 3rd at midnight (Eastern Time). Today, we are starting the winter season officially, and according to the weather report we are supposed to have snow today, and my daughter is extremely happy, she loves snow and thinks the whole year should have snow, LOL. So I made this snow-y card, to celebrate the "just in case snow day". Stamp image from Snowy Hello Stamp Set on White Cardstock in Memento Tuxedo Black, color it with markers. Die-cut, emboss and stencil image with Wonky Rectangles Dies. Add Crystal Lacquer to the bottom are and add Crushed Glass to create snow-like ground. Die-cut Small Snowflakes in Gold Cardstock. 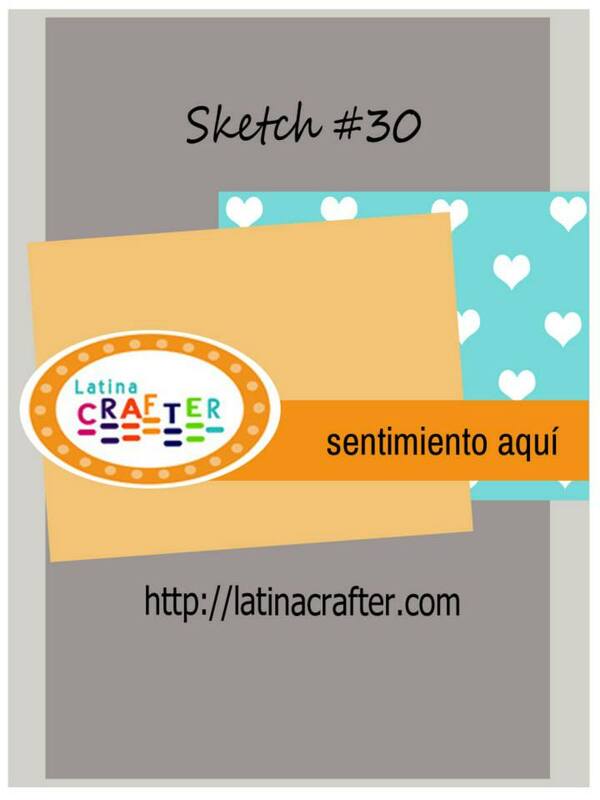 Make a card base from White Cardstock. Top fold. A2 size. Stamp sentiment in Jet Black Archival. Die-cut a piece of Light Blue Cardstock using the largest die from Wonky Rectangles, dry emboss and add it to card base with dimensionals. Hello friends! Long time no post, life gets busy and busier these days, just trying to finish my Christmas cards and send them out before Christmas, oh my! Today, I have a cute card using one of the new sets from Latina Crafter, this set is called "Dorothy", and have bilingual sentiments. 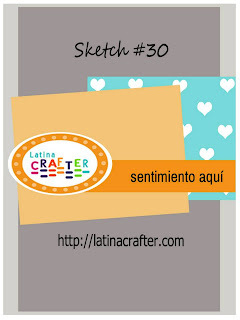 I used the one in Spanish that says "There's no place like home"
I used the December sketch from Latina Crafter, you can join us too, check it out HERE! 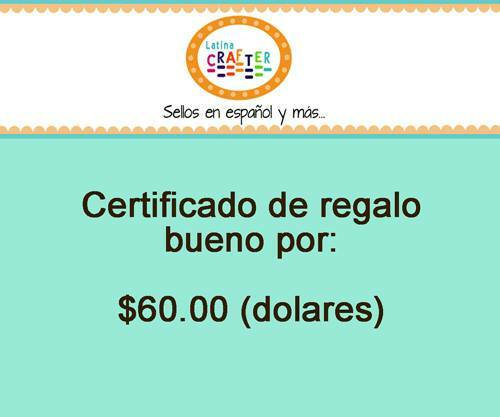 You don't need to use Latina Crafter Stamps to participate. The image was stamped on White Cardstock in Memento Tuxedo Black and colored it with markers. The patterned papers are from Echo Park Paper, the sentiment was stamped on vellum in Jet Black Archival. Hello friends! Hope you all are having a fantastic Wednesday. Today, I want to share with you these cute Teddy Tags I created using Great Impressions Stamps. Isn't this bear extremely cute? I think he really is! For this project I started die-cutting the tags using Reverse Confetti Tag me Dies , then I stamped the bear in Memento Tuxedo Black and colored it with Spectrum Noir Markers. Then, I stamped the bells from Christmas Bell Swag image in Golden Glitz Ink. The To/From banner was stamped in Jet Black Archival. The final touches were adding Twine and stickles to the Santa's hat. Labels: Great Impressions Stamps, Reverse Confetti, Spectrum Noir Markers. This is the card I created with this new Cocoa's set. I colored the image with Copic Markers, added Star Dust Stickles to the ears (I don't know why, I think looks cuter this way). I stamped the background using Grunge Elements set. The sentiment was stamped in Olive Archival ink. I created 2 CAS cards using this set, I think this set is going to be used a lot!! Drop me a line: Super clean card, I was dying to add stitches and bling, LOL. I like it this way. Cut a panel from White Cardstock (4" x 5.25"), stamp background in Coffee Archival Ink. Start sponging piece with Antique Linen, Old Paper and Vintage Photo Distress Inks. Add a back red piece to panel and add it to card front. XOXO: I have to confess this card started as a completely different project. I heat embossed the background image, but some edges didn't turn out the way I wanted, so I did plan "B"
Make card base from Pink Cardstock. A2. Stamp background using Grunge Elements and pink ink. Add a thin piece of red cardstock. Heat emboss background image in Versamark Ink, die-cut image using Heart dies. Sponge hearts with Antique Linen and Vintage Photo Distress inks. Stamp XOXO from Bottom of my Heart set in Coffee and Sepia Archival inks. Hola amigas!! Me alegra muchísimo que el día de hoy nos estén acompañando para celebrar el cumpleaños de una persona muy especial!! 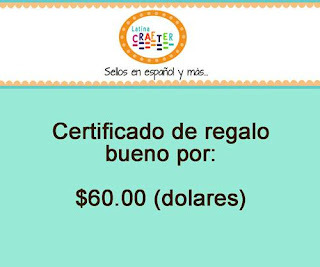 Nada más y nada menos que a nuestra querida Diana Maldonado, creadora de Latina Crafter, una persona con un corazón grandísimo, bondadosa, generosa, una hija de Dios, una persona a quien puedo llamar mi amiga. 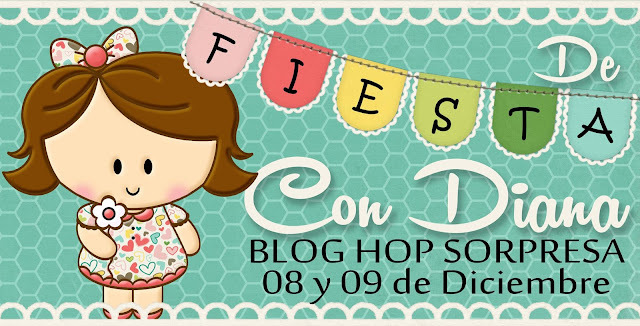 Por eso el Equipo de Diseño está celebrándola de una manera muy especial, con un blog hop cumpleañero, si has llegado a mi blog brincando del blog de Mirna, entonces estás en el lugar correcto! Aquí les dejo la tarjeta que Diana estará recibiendo en estos días, usé los sets Amiga, y Las Mañanitas, como verán, mi tarjetita es bastante sencilla pero elegante a la vez. Ahora las invito a brincar al blog de Jessica, les aseguro que les encantará su creación. No se olviden de dejar sus mensajitos para Diana, sé que a ella le fascinará leerlas a todas ustedes, y como muestra de agradeciemiento, que les parece un regalito para ustedes tambien!! Gracias por acompañarnos en esta fecha tan especial! Cut a panel from Neutrals Cardstock (3.5" x 4.75"), cut a panel from Patterned Paper (3.25" x 4.25"), adhere it to cardstock and add zig-zag stitches. Die-cut hand and typewriter, stamp coordinated images in Coffee Archival ink. Adhere them to panel, add twine and red rhinestones. Die-cut shape from White cardstock, stamp saying in Coffee Archival Ink, adhere it to panel with dimenasionals. Hello friends! Today, I want to show you a project I created for eclectic Paperie using a lot of fun products! I called this project a CAS mixed media. Cut a piece of Patterned Paper from "Twelve days of Christmas" by Graphic 45, size 3.75" x 5". Now, take the circle images from "Strictly Sentiments 3" WPlus9 and stamp randomly on you patterned paper piece, here I use Broken China Distress, Barn Door Distress, Mustard Seed Distress, Olive Archival. Spray Dylussions Melted Chocolate and Perfect Pearls Mist Sunflower Sparkle (I did it super gently and for a far distance), this will give your card a very nice shimmery look. Cut a strip piece, adhere it to panel and cover it with Glossy Accents, then add Clear Rock Candy Distress Glitter. Add score tape to your back panel and adhere it to card base, then add Glossy Accents to small circles. Hello friends!! Today I want to show you a super cool project I made for Z Becky Brown, I am so in love with this design I will show you several pictures of it. This is a very Christmas design, the cool thing is that you can design your own patterns as I did here, I used the White Ziva Paper Inserts, they come in a pack of 5 different colors. 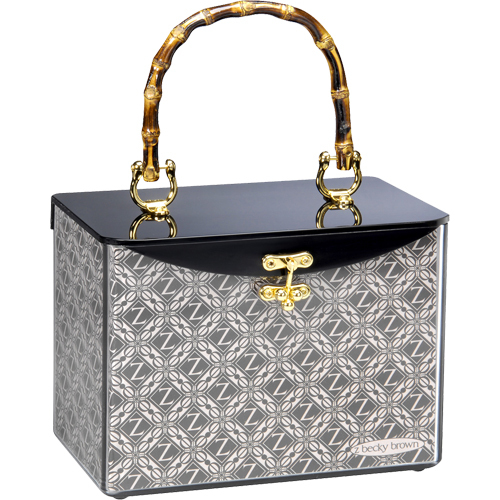 The handbag I used is Gold Hardware Burnt Bamboo Handle, but you can design you own bag with whatever handle style you like. Start in with your White Ziva Paper Inserts, stamp images all around (Please notice that the top is slightly longer than the bottom). Stamp cabin in Memento Tuxedo Black, trees in Olive Archival Ink. The decorative snowflake was stamped in Versamark Ink, then added clear embossing powder and heat set. Sponge all around the top areas, starting with Tumbled Glass, Broken China, a little bit of Faded Jeans and finally Stormy Sky Distress Inks. Stamp sentiment in Jet Black Archival, then stamp little flower swirl in Coffee Archival Ink. Add little dots all around the background to create a snowy scenery, I used W=a White Uniball pen. To decorate the handle, I made a big double bow, die-cut poinsettia flowers using Spellbinders dies and red felt, add few pearls. If you would like to order your handbag, check out the Z Becky Brown Store, lots of possibilities! Starting from the bottom, adhere hot glue and jute twine until you have the cone completely covered. Add little dots of hot glue and add sequins and rhinestones. Die-cut 3 labels from Gold cardstock, stamp the Feliz Navidad and border with Versamark ink, then add red embossing powder and heat set. Score each piece in the center, add adhesive and create a 3D label. Stamp little present in versamark ink, add gold embossing powder and heat set. Add it to cone with a copper tinsel bow. This project is easy to make and doesn't take too long . Hello friends! Hope you all had a great Thanksgiving time! I had a good one, traveled to visit the family, had unexpected situations, but at the end we are all good!! Today we are starting a new week and also we just started a new month, wow!! my goodness, this year has flown by!! Today I am sharing a card using Great Impressions Stamps, another CAS card. Make card base from Ivory Cardstock, score each side at 1/4" from the edge. Cut a panel from Ivory cardstock (3" x 4 1/8"), stamp Dove of Peace image in Golden Glitz Delicata Ink, add strips of Patterned paper (Twelve Days of Christmas by Graphic 45), mat this peace on a slightly bigger piece of red cardstock and add stitches. Add sequins on top and a bow. 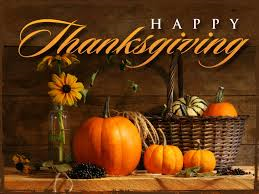 Happy Thanksgiving to all of you my friends!! I am very thankful for all of you! Enjoy your family, meals and fellowship! Sharing a card I made fro Latina Crafter, the sentiment says "Give Thanks"